When the afternoon slump hits, refuelling on comfort food and snacks rather than healthier meal options can be tempting. Even for those with the best intentions, the workplace can be one of the most challenging locations to eat well. A poor lunchtime choice can derail a whole afternoon – but here at Totally Delicious we believe our corporate canteens can assist productivity when it comes to keeping employee focus and energy on point. Our philosophy is ‘Great People, Great Food’ and everything we do underpins this. 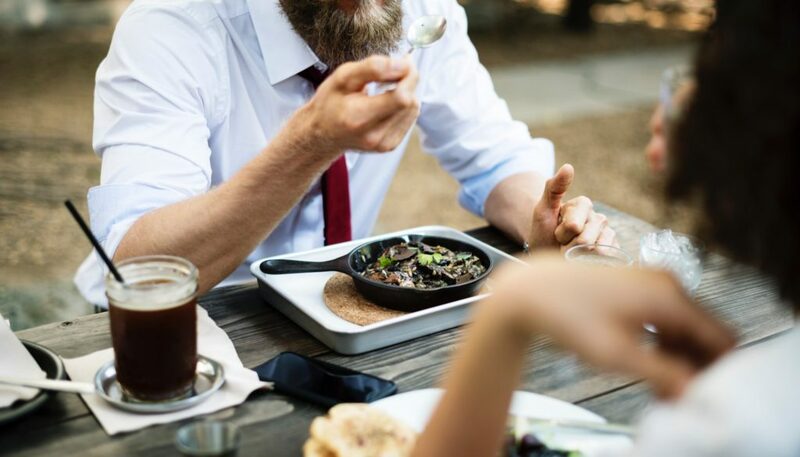 We know the importance of employee wellbeing and that’s why we work hard to offer a wide range of healthy, nutritious meals to power bodies and minds. This week (January 28 – February 2) we are excited to be supporting our client, Swinton Insurance, in its Wellbeing in the Workplace Week by providing a bespoke, balanced menu for workers to fill up on. We love our themed meal days at Totally Delicious, so we jumped at the chance to support Swinton Insurance and use the workplace to promote wellness rather than act as a barrier to it. Healthy options on the menu this week include dishes to sustain staff such as fruit pots, yogurt and granola, and nutritious salads packed with proteins like chicken or tuna and fresh vegetables. As well as feeding productivity, our workplace dining spaces are aimed at bringing workforces together. We design, install and run relaxed café-style environments where teams can meet, chat and enjoy a chance to recharge the batteries. We strongly believe encouraging better eating habits and business environments all contribute to a happy and healthy working culture. Our clients constantly tell us about improved communication and engagement among teams who enjoy eating great food together in a modern environment during breaks. We receive consistent feedback telling us how staff feel valued thanks to the fact their employers have provided a quality canteen space. Clare Burns, Internal Communications and Engagement Manager at Swinton Insurance, said: “At Swinton, we’ve just launched our new health and wellbeing programme called Wellness4Life where we’re focusing on various elements which can support our colleagues to positively impact their mental and physical health. According to Public Health England, the cost of an unhealthy workforce to the UK taxpayer has been estimated at over £60 billion per year. Employees who are in good health are less likely to need time off work and are likely to be more productive. At Totally Delicious we live up to our name. Working together with your business we can help keep a productivity buzz rather than a fuzz. So if you are looking for a way to reward and motivate your team, while encouraging employee engagement, get in touch today and request a call back at www.totally-delicious.co.uk/workplace-concessions/ or email us at enquiries@totally-delicious.co.uk.